In my work I am often inspired by the intricate details of flowers and nature. Summer and finally to the magnificent colors of fall. 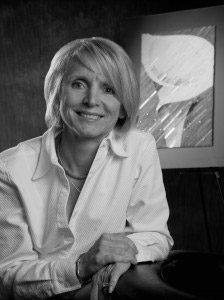 Glass artist Terri Albanese formally trained at the Columbus College of Art and Design, earning a BFA in graphic design. After finding inspiration in the ancient mosaics of Italy, Albanese decided to further her education at the Miami Mosaic Academy in Florida. Incorporating both her artistic and artisanal training, Albanese embarked on a creative project of painting with glass. Her pieces are both aesthetically and conceptually driven, with an emphasis on narrative.Â Albanese is particularly interested in the public’s desire to touch her work even though it is made from a material that is conventionally sharp and dangerous. 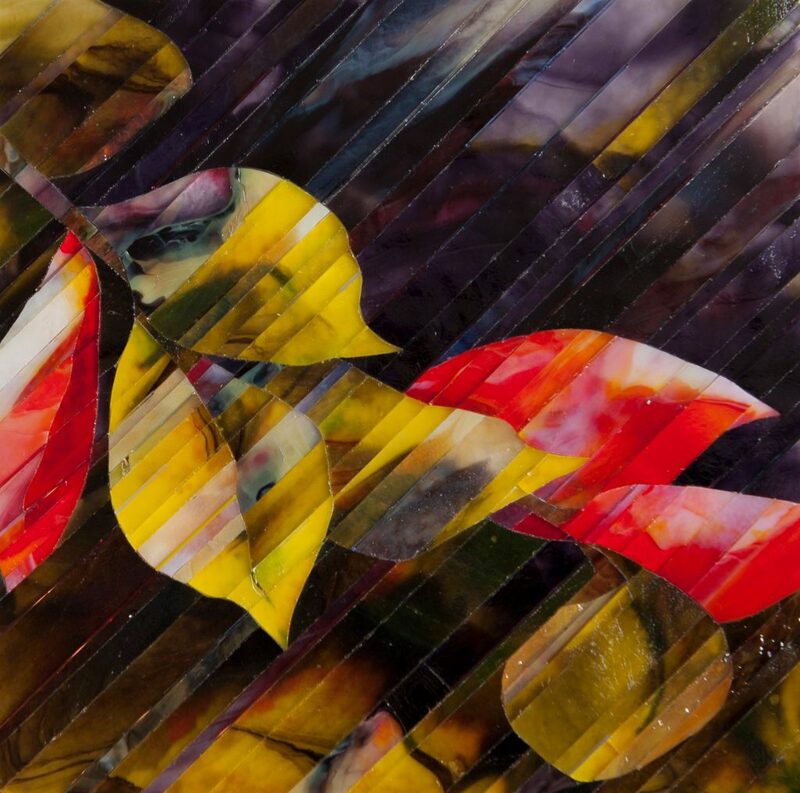 Albanese encourages her viewers to touch her glass paintings since it allows them to become pulled farther into the art.Â Albanese’s paintings can be found in personal and corporate collections throughout the UnitedÂ States, Hong Kong and Israel.